Homeowners living in formerly state-owned buildings are supported to work together to improve their homes through the REELIH project. Many multi-apartment blocks in former Eastern Bloc countries Armenia, Bosnia and Herzegovina and Macedonia fell into widespread disrepair following mass privatisation in the early 1990s. By creating homeowner associations, residents are able to borrow collectively to carry out energy efficiency improvements to their homes. This makes heating homes more affordable, improving the health and well-being of residents. After proving successful in Macedonia, the approach was transferred to Armenia and Bosnia and Herzegovina. Since all three countries face similar challenges, they all began with the principle of collective action and then went on to adapt to meet their different needs. The project has developed connections between individuals, homeowner associations, local governments and banks. The work has helped spread awareness about energy efficiency and increased the funding available to residents to improve their buildings. The Residential Energy in Low Income Households (REELIH) project is about the transfer of a successful approach to improving lives through improving buildings, which Habitat for Humanity began in 2009 in Macedonia. 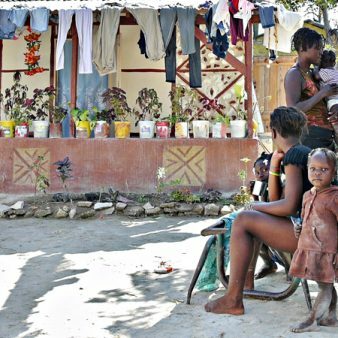 The project objective is to tackle poverty and improve the health and quality of life of low income homeowners. It is an approach which responds to a problem common across countries of the former Eastern Bloc. Before mass-privatisation occurred across the region in the 1990s, huge state-driven building programmes had provided the majority of the housing stock as multi-apartment blocks. Once ownership of these blocks was transferred to residents, the common areas of many buildings (roofs, stairs, facades) fell into disrepair as communal maintenance arrangements were not set up or not maintained by residents. As a result, thousands of buildings are at varying degrees of disrepair, with very poor insulation and sometimes dangerous structural flaws. This project helps residents to improve their buildings by encouraging and enabling them to work together to arrange and finance energy efficiency works. The original approach was developed and trialled by Habitat for Humanity Macedonia. This provided the starting point for the REELIH project, a transfer which has been co-ordinated by the regional office of Habitat for Humanity (covering Europe, Middle East and Africa). Local partners in Armenia and Bosnia and Herzegovina have led and implemented the project on the ground, adapting specific elements to fit within the different administrative, financial, political and economic contexts of those countries. The project, which receives funding from the United States Agency for International Development, supports individual homeowners living in multi-apartment blocks to mobilise and act as Homeowner Associations to collectively manage their buildings. These resident-led groups are able to get access to technical expertise through the project so they can make their buildings more energy efficient. As a result, residents spend less on energy and also benefit from improved air quality, which has a positive impact on people’s health. A significant feature of the project is the work that Habitat for Humanity carries out in each country to develop financial models so the improvements can be funded. One of the ways that this is achieved is through mediation carried out between residents, the public sector and the private sector. This has really helped increase the funding available for this type of work and has made it much easier for people from different backgrounds and organisations to work together to achieve improvements for residents and the wider community. The Residential Energy in Low Income Households (REELIH) project is co-ordinated by the Europe, Middle East and Africa branch of Habitat for Humanity International. Habitat for Humanity International is a non-governmental organisation working in 70 countries around the world. The organisation’s work is focused on ensuring that everyone has a decent place to live and on finding solutions to housing issues. This project is delivered by in-country partners: Habitat for Humanity Macedonia, Habitat for Humanity Armenia, and Enova in Bosnia and Herzegovina. Raising awareness about energy efficiency as a way of tackling poverty and reducing carbon emissions. Providing technical expertise to residents living in multi-apartment buildings to help them form Homeowner Associations. Helping residents to plan and organise energy efficiency work to be carried out on their buildings. Helping to develop trust between residents, lenders and local governments. Developing and testing replicable models of collective borrowing which help residents access funding. Improving the health of residents through improved heating and air quality in their homes. Through the Residential Energy Efficiency project, Habitat for Humanity demonstrates the case for public and private investment in residential energy. to place an increased focus on improving existing buildings. Eurasia is a combined continental landmass of Europe and Asia. The REELIH project is applicable in particular in countries that were formerly part of the Eastern Bloc, where there has been very high subsidy and nationalisation followed by economic decline and rapid privatisation. In many countries across Eurasia, there are large numbers of blocks of flats which were built using prefabricated units. Built between 1951-1991, this type of housing was originally state-owned and managed with high levels of subsidy. Following the collapse of the Soviet Union and former Yugoslavia, mass privatisation led to high levels of private homeownership. However, many of these buildings have fallen into disrepair and are now inefficient and expensive to heat. As countries in the region are mainly located in climate zones with cold winters, poorly heated homes affect the health and well-being of the residents, particularly those on low incomes, who also struggle with high energy costs. Heating poorly insulated buildings wastes large amounts of energy. Poorly maintained residential buildings also generate higher carbon emissions and contribute towards pollution and climate change. In this region residential buildings are the largest single consumers of energy and a major source of greenhouse gasses, especially carbon dioxide. However, the market for energy efficiency in the countries where the Residential Energy Efficiency project is working is not well developed. Also because households have been used to receive high levels of state subsidy to pay energy bills in the past, saving energy to save money is a new concept for many people. The REELIH project acts as a facilitator and mediator between homeowners and the public and private sector so that retrofit projects can be planned, funded and delivered. This mediator role has supported the formation of new Homeowner Associations, which are organisations formed of and run by residents. Through this programme these associations have become credible recipients of both bank loans and local government subsidies, enabling them to improve their homes and buildings. This is a significant development as previously residents were not able to get access to loans to improve their blocks of flats. Capacity building is a key feature of this project and is implemented by in-country partners: Habitat for Humanity Macedonia, Habitat for Humanity Armenia, and Enova in Bosnia and Herzegovina. Training and awareness-raising helps ensure residents know about energy efficiency and their right to adequate housing. These in-country partners support Homeowner Associations to form, to plan which home improvements they will carry out and to decide if they will manage the work themselves or through contractors. The work of the in-country partners also extends to working with banks and local authorities. The development of a market for residential energy efficiency retrofits is a great success of the project. It has created an opportunity for low income households to access funding and has helped to attract subsidy from local government in the form of match funding for loans. With the support of the REELIH project residents in Homeowner Associations have demonstrated their ability to manage projects and loan repayments, allowing them to make real improvements to their lives. The loan repayment rate of residents working with the project is 100%, which is a significant achievement. In addition to providing technical assistance, Habitat for Humanity funds energy audits. These audits help the organisers to decide which buildings should be targeted and also help Homeowner Associations to make informed decisions about the work they will have done. Habitat for Humanity currently shares knowledge about residential energy efficiency via three websites, one in English, one in Armenian and one in Bosnian. These explain how the project works and take people through a step by step guide on how to make improvements in their homes and in common spaces and structures (roof, facades, stairwells) in multi-apartment buildings. In the context of former Eastern Bloc countries, the development of a market for resident-led energy-efficiency works is ground-breaking. The history of state-control over maintenance of the housing stock, combined with a heavily subsidised energy supply means there has been very little awareness of or interest in issues like energy efficiency among residents. As a result of the work of Habitat for Humanity on residential energy efficiency, more than 3,800 individuals now live in more comfortable and efficient housing across the three countries. Retrofitting has cut energy bills for low income homeowners by up to 50%, helping to reduce poverty and tackling rising energy costs. The project supports the rights of citizens to a good home, helping residents to access the means to improve their own housing. 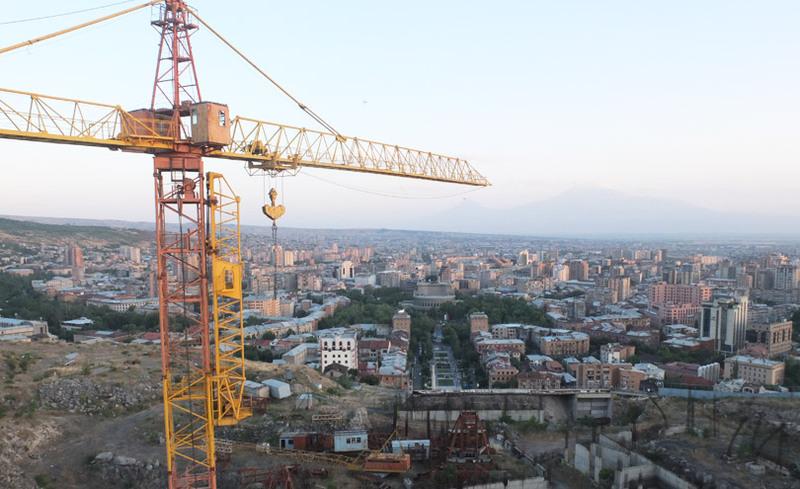 In Armenia, 18 buildings (519 housing units, 1,500 residents) have had work completed and the work of Habitat for Humanity has led to a commitment from the Yerevan Municipality to co-finance retrofits on 900 further units. 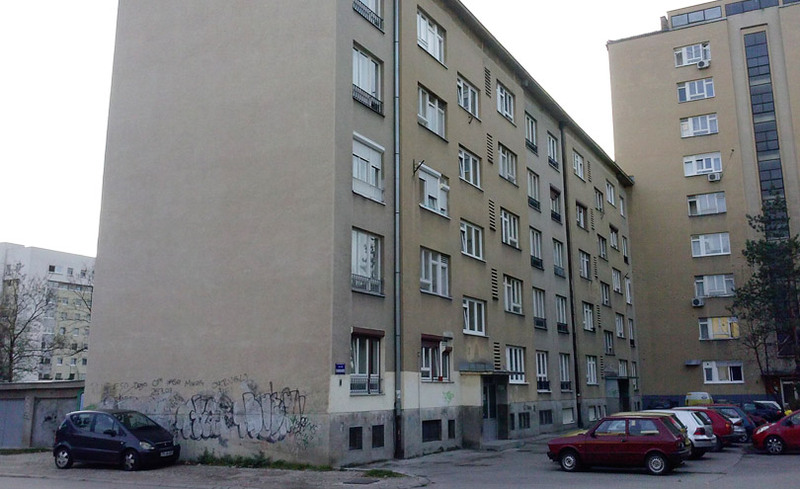 In Bosnia and Herzegovina, four buildings (49 housing units, 133 residents) have been retrofitted. 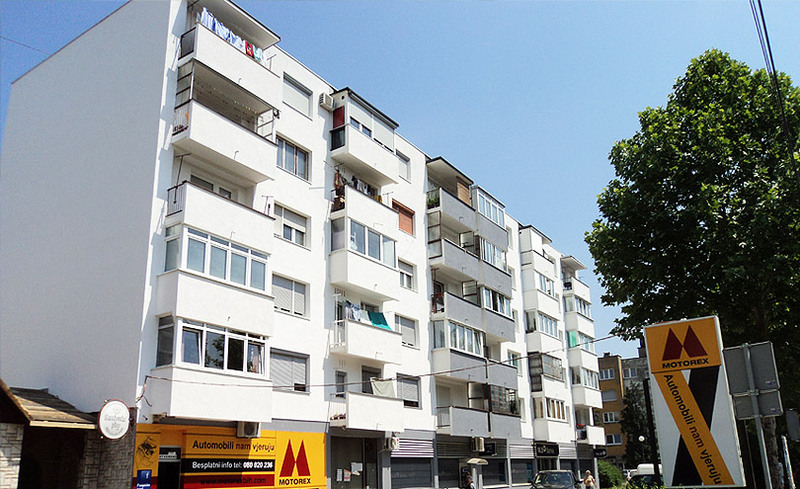 This has attracted the attention of local governments in the Tuzla Canton who have now developed an action plan to retrofit 973 further homes. The plan will provide subsidies to match loans and other funds raised by Homeowner Associations. The continued success of the work in Bosnia and Herzegovina and Armenia is now inspiring further work in Macedonia. 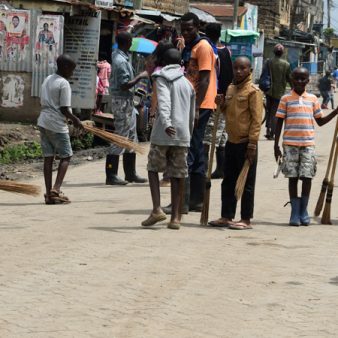 The United States Agency for International Development (USAID) is funding a second phase of the project, which began in 2017 and will run until 2019. The project has led several local governments to provide subsidies for energy efficiency interventions. In Armenia the Municipality of Yerevan has provided 40% subsidy for all energy efficiency interventions through the REELIH project. Habitat for Humanity Armenia is also working collaboratively to reform the national Armenian Housing Law, to create a better investment environment for Homeowner Associations. 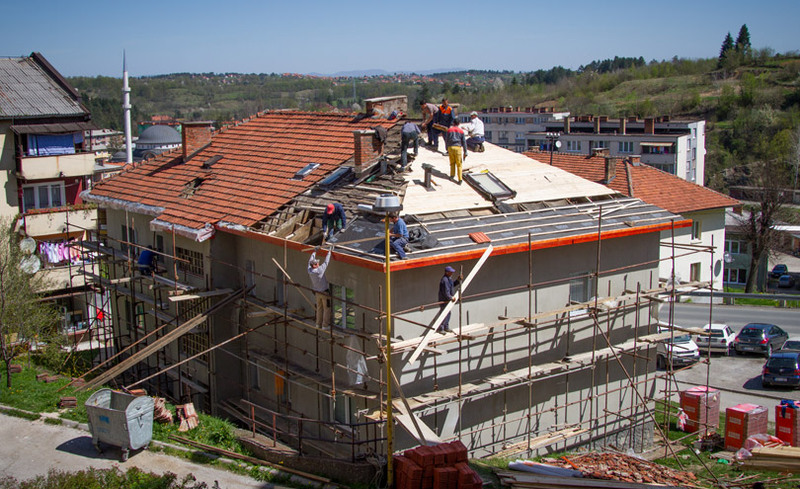 In Bosnia and Herzegovina, following the implementation of residential energy efficiency work by Habitat for Humanity, the Tuzla Canton local government has produced a five-year plan focusing on energy use in residential buildings. It is the first of its kind in Bosnia and will support large scale investments in residential energy efficiency across the area. It is expected this approach will spread to other areas. In addition, Habitat for Humanity is currently working on influencing the reforming of Homeowners Association laws in all three countries. The project costs are funded jointly by Habitat for Humanity International and the United States Agency for International Development (USAID). 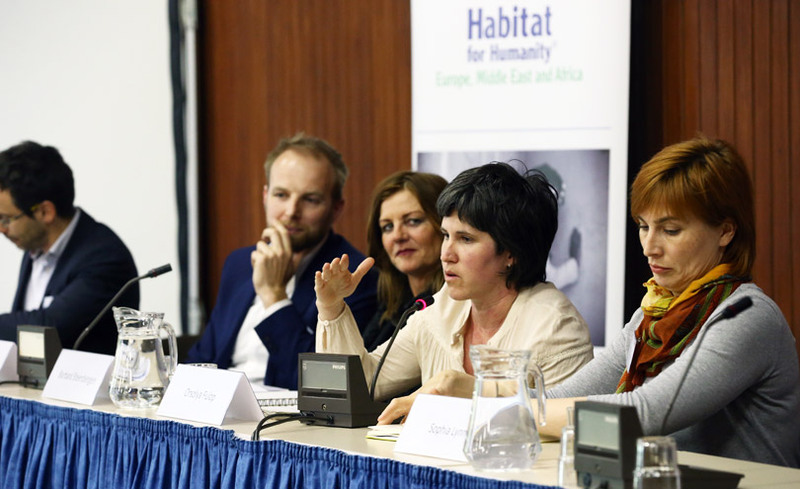 Residential energy efficiency is a key part of the Habitat for Humanity International strategy for Europe and Central Asia until at least 2020 and currently US$100,000 per year is allocated to this work from the organisation’s core funding. US$2,000,000 (USAID, maximum committed funding for 2012-2019). US$590,000 (Habitat for Humanity International, committed funding for 2012-2019). The costs of the energy efficiency works are covered through different routes depending on each country. Energy efficiency markets are still being developed by Habitat for Humanity and their in-country partners. In Armenia, where Habitat for Humanity has successfully set up loans for Homeowner Associations these are combined with subsidy from the local government if available. Energy efficiency works are covered by a combination of financial subsidy and residents’ personal savings. 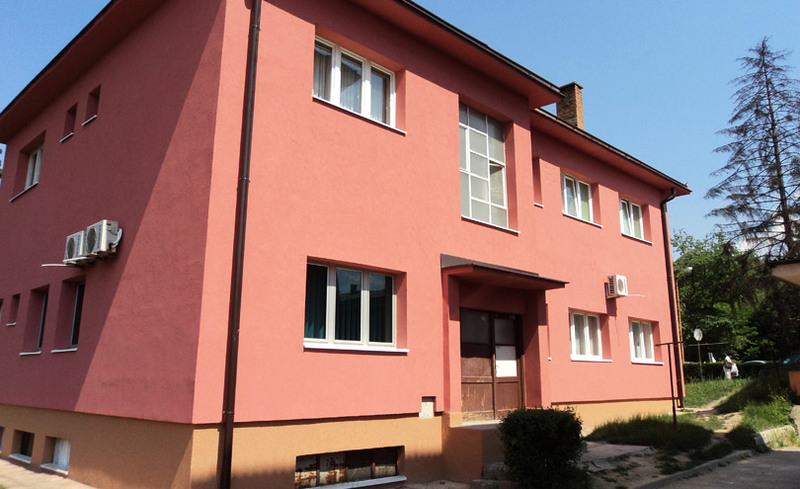 Subsidy for retrofitting works: US$125,000 budget allocated (in 2017) by the canton of Tuzla, along with match funding by five different local governments which should collectively amount to US$300,000 (final amount of match funding still to be confirmed). The Municipality of Yerevan has committed to fund 40% of the building retrofit costs per each building, and up to 900 buildings following the first retrofit pilot. Ineco Bank and AGBA Credit Agricole Bank are working with Habitat for Humanity to develop loan products for Homeowner Associations. Loans are insured by guarantees based on an assessment of the Homeowner Association’s cash flow (typically the history of collection rates of building management fees over the past two years). The cost of retrofitting works is split with 60% covered by loans and 40% covered by subsidy. The interest rate for the loans is 17% (the average rate for retail loans), with repayment in three to five years. Residential Energy Efficiency for Low Income Households targets low income households affected by high energy costs, informing them about energy efficiency and providing technical support to help them manage the retrofitting of their homes. The skills people have gained through the project help them get involved in raising awareness, sharing their knowledge and concerns about energy costs as a cause of poverty and helping municipalities to further understand their residents’ needs. By mediating between Homeowner Associations, municipalities and banks, the approach of Habitat for Humanity has improved the financial credibility and borrowing power of low income households. This is a particular accomplishment, as banks in Armenia (as in most of Eastern Europe) were previously unwilling to issue loans to Homeowner Associations. Through technical assistance and effective collaboration, the REELIH project has helped to establish new financial mechanisms, which facilitate the distribution of public funds and loans from banks directly to the Homeowner Associations. This provides an alternative to the need for each individual household in a multi-apartment building to raise their own finances. It allows a whole-building approach to energy efficiency which can be managed collectively by the residents. As the loan is also managed by a single entity (the Homeowners Association), the whole process of making improvements to buildings has also become more efficient. Approximately 80% to 90% of energy is used during the lifetime use of a building with the remaining 10% to 20% used during construction and demolition (this also accounts for embodied energy). Retrofitting has a positive environmental impact by making buildings more energy efficient, reducing carbon dioxide emissions and the use of fossil fuels. As the number of retrofitted buildings increases, so does the positive environmental impact of the Residential Energy Efficiency project. Retrofitting homes improves air quality and helps reduce moisture and noise, provides greater comfort and reduces the required frequency of maintenance and repair work. The retrofitting works carried out through this project can reduce the total energy consumption of these homes by up to 50%. Thermo-insulation of the façade of the buildings. Repair, replacement and/or new flooring and roofing with materials with thermal features. Replacement of windows and entrance doors. The approach of REELIH ensures materials used for retrofits provide optimal energy saving results. Different vendors are used in each building and materials are selected based on energy audits. In Bosnia and Herzegovina, most materials are produced or available locally. Some materials are imported in Armenia. Energy efficiency interventions are sometimes implemented hand-in-hand with other work on strengthening the structural stability of the buildings, improving them for future generations. Habitat for Humanity International has placed energy efficiency within its key strategy and funding streams until 2020. As of 2017, the project has funding from USAID for at least two more years. Advocacy carried out by the project has secured commitment from a number of local governments to place energy efficiency in their budgets. This achievement has been key to the financial sustainability of this work. The relationship building with banks is also a very important aspect. 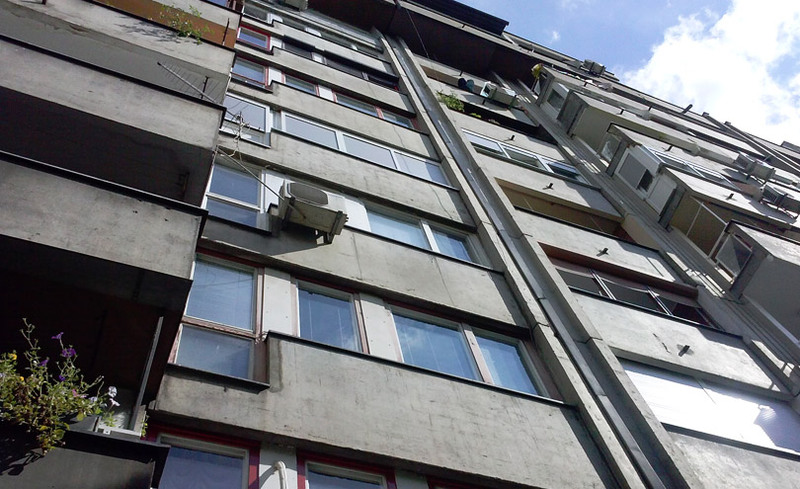 Two additional banks in Bosnia and Herzegovina have started financing window replacement and other retrofit measures, and are now interested in developing affordable residential energy efficiency products for families and Homeowner Associations. In particular, banks would like to see a Guarantee Fund to reduce the risks of loans to Homeowners Associations. This option is being explored by Habitat for Humanity, in order to expand the number of banks that would be willing to provide loans for residential energy efficiency for multi-apartment buildings. Over time Habitat for Humanity International believe it might be possible to set up revolving loan funds so Homeowner Associations can pay for energy efficiency works without any subsidy. At the moment the market is not developed enough in any of the countries where the project is being implemented for this to happen. Residential Energy Efficiency for Low Income Households provides practical solutions to a housing problem that negatively affects standards of living, household budgets and quality of life. The project prioritises community-building and working in partnership across different organisations and sectors, focusing on solving energy poverty for low-income families and has a real impact on residents’ lives and their homes. Multi-sector partnership and knowledge sharing is not only carried out on the ground but also through online knowledge sharing platforms. Presently there are two national knowledge sharing website for the work in Armenia (http://taqtun.am) and in Bosnia and Herzegovina (http://topaodom.ba), and a regional website for the project at a wider level (https://getwarmhomes.org). The national platforms allow residents and stakeholders not directly involved in the project to learn about and develop their own energy efficiency improvements, and the regional one acts as an international platform to share knowledge on residential energy efficiency. Through the REELIH project, Habitat for Humanity works with residents to set up Homeowner Associations and strengthens their ability to negotiate for improvements with municipalities and banks. Homeowner Associations and their residents are given training on energy efficiency where they can share ideas on how they can save energy and money together. The technical assistance and expertise provided empowers residents to work collaboratively and go through the process of renovation themselves. Technical support is provided for decision-making, contracting construction companies, gaining subsidies from governments and funds from other financial institutions. The training, combined with mediation, ensures Homeowner Associations are seen as credible organisations. The project also develops community relationships by supporting residents to work together. The physical retrofits themselves lead to better health and well-being as homes are more comfortable to live in and issues of cold, dampness and air pollution are improved. Residents are able to make better use of all the space in their homes (before many would only use one room with wood or coal fires for heat). Building improvements have also led to improved community interaction by making the shared spaces (such as stairways and hallways) more useable. The infrastructure of the building (e.g. pipes, elevators, etc.) also benefitted from energy efficiency as they are now less exposed to cold and dampness and therefore need less frequent maintenance. The increased awareness and appreciation of energy efficiency has led some residents to make further improvements to their own homes, for example by fitting double glazing or investing in energy efficient appliances. Overall the approach has tackled poverty by reducing the living costs of low income residents through energy savings. The Residential Energy Efficiency project works in a region where energy efficient retrofits have not been well researched and are not widely understood. The project has had to work hard to prove its worth and raise awareness about the subject. There is little clarity about homeowners’ rights and responsibilities relating to the management and maintenance of common spaces. This means there is little trust between homeowners and other partners when it comes to organising works on buildings and cost sharing. In Armenia, Habitat for Humanity has tried to overcome this by working with others on reforming the national Armenian Housing Law to improve clarity and create a better environment for cooperation and investment. Government arrangements across the region are incredibly complex, with multiple layers of administration at different levels. This presents an additional challenge with transferring the approach – not just across, but within countries. 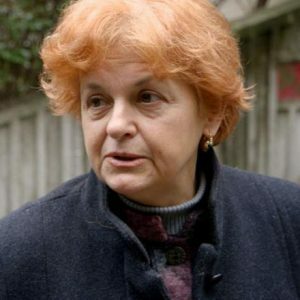 Banks in Armenia (and across Central and Eastern Europe) cannot offer loans on buildings but ask individual residents to provide personal guarantees which can be difficult and time-consuming. The project has facilitated new lending mechanisms so loans can be made to Homeowner Associations on behalf of the whole building. This has been achieved through good communications with banks and ongoing technical assistance to residents and Homeowner Associations. Another challenge relates to the project’s desired focus on low income households. The state programme applies an approach which awards subsidy based mostly on the state of buildings i.e. from the time of construction until today – the building has never been refurbished, it does not have thermal insulation. Surveys are conducted to determine the buildings with the highest needs. Nonetheless, most multi-apartment buildings in the area made up of mixed incomes families. As a result this means some of the households who benefit are in higher income groups. Nonetheless, one of the criteria for the building selection is that the majority of residents/ households in the building are very low income. Therefore, the project ensures that at least the largest part of the people it reaches is indeed part of their target group. Countries in much of Eurasia are mainly located in climate zones with cold winters, so energy and heating efficiency should be a major concern for governments and residents. However, historically energy costs have been heavily subsidised so awareness about energy saving is low. In South-East Europe and the Commonwealth of Independent States (unlike in Central and Eastern Europe), legal barriers exist which create additional difficulties with maintenance and new investments in multi-apartment buildings. This is further aggravated by the fact that homeowners living in multi-apartment buildings in these areas usually have lower incomes. Since the early 2000s improving energy efficiency has become an increasing priority for Central and Eastern European countries but the majority of buildings (50-70%) are still waiting for renovation so large numbers of residents are affected by high energy costs. A system of clearly defined responsibilities is needed in multi-apartment buildings that integrates energy efficiency. Financing mechanisms need to be available and affordable to residents. Government intervention through targeted subsidy or loan guarantees is necessary. Assistance to all stakeholders is necessary for successful renovation of the housing stock on a larger scale. It is vital to interlink housing and social policies to improve energy efficiency in housing. Providing information for example through presentations, training and awareness campaigns helps more people achieve energy efficiency by promoting informed choices. It is crucial to establish and create opportunities for knowledge-exchange and experience-sharing. The REELIH project is evaluated by looking at energy savings made through pre-retrofit and post-retrofit energy audits. These are carried out using an approach Habitat for Humanity developed in 2012. Energy audits are carried out by ENOVA, an environment and energy consultancy and the in-country partner for the project in Bosnia and Herzegovina and by the in-country office of Habitat for Humanity in Armenia. Habitat for Humanity and partners have also conducted base-line surveys of the housing stock and the financial and living conditions of residents. They have looked at things like participation in Homeowner Associations, comfort levels in the home, and awareness about energy efficiency. These surveys will be repeated in the future to help understand the impact of the project. Residential Energy Efficiency in Low Income Households features as best practice in the ‘Energy Poverty Handbook’ published by the office of Tamás Meszerics (Member of the European Parliament) via The Greens/EFA group of the European Parliament. Build Upon; A collaboration of ‘Green Building Councils’ (not-for-profit organisations set up to improve and protect the environment by improving buildings). The EU Observatory on Energy Poverty; A consortium set up in 2016 to address and understand energy poverty across the European Union. C4E Forum; The Central and Eastern Europe Energy Efficiency Forum, set up to share and build upon successful energy efficiency work across the region. A conference on residential energy efficiency in May 2017 attracted a range of interest from across Europe. Habitat for Humanity International started the first REELIH project in Macedonia in 2009. With the continued support of USAID, the approach was successfully transferred and has been adapted in Bosnia and Herzegovina and Armenia. Following pilot projects, a number of regional and local governments are supporting more work on residential energy efficiency. Subsidies are now being provided in five areas in the Tuzla Canton region of Bosnia and Herzegovina and in the Municipality of Yerevan in Armenia. These subsidies will match loans raised by Homeowner Associations to help pay for energy efficiency improvements. This was made possible by the work of the REELIH project. 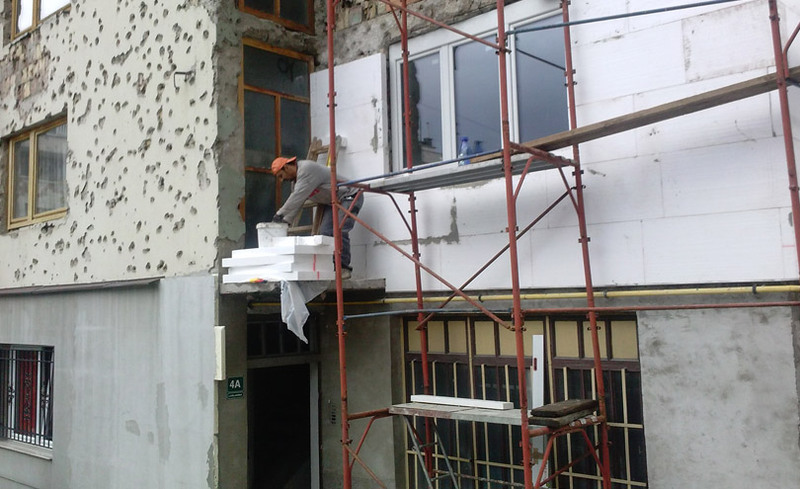 Habitat for Humanity Armenia is also partnering with Spitak and Vayq Municipalities to work with them on energy efficiency in residential and public buildings in their areas. Their success with the REELIH project helped them to attract funding from the European Union to do this. Visitors from the United Nations, European Union, the Deutsche Gesellschaft für Internationale Zusammenarbeit GmbH (GIZ), United States Agency for International Development (USAID) missions and other development agencies have been to Armenia and Bosnia and Herzegovina to learn from the project. 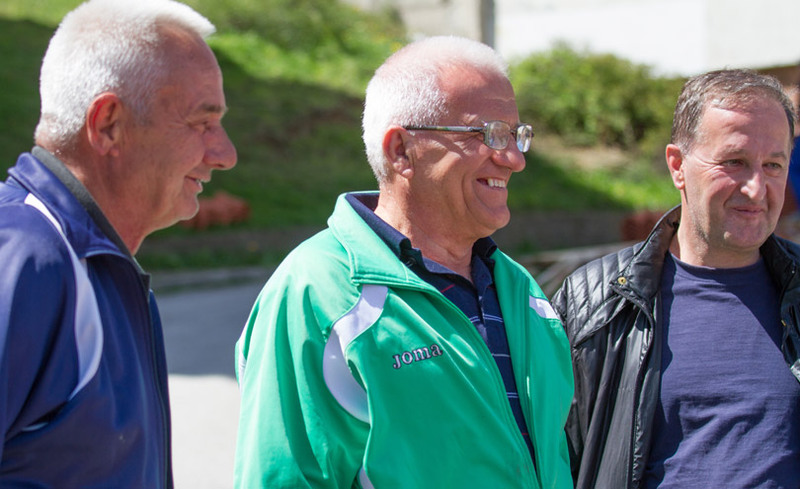 In Macedonia, Habitat for Humanity has helped to make energy efficiency a subject for students in technical high schools, providing training sessions and arranging internships. Energy poverty and poor energy efficiency in residential buildings is a problem in many countries of the former Eastern Bloc. A great number of low income families could benefit from the REELIH approach to accessing finance and subsidy. The REELIH work was shared in April 2017 at a conference in Brussels aimed at raising awareness and interest among EU-policymakers and developing opportunities for people to work together. Lile Kik lives in the Aerodorm apartment complex in Skopje, Macedonia. Thirty-five years ago, the buildings were brand new; today, they are crumbling and showing the signs of years of neglect. My apartment lacks insulation, double glazed windows or proper doors. It also has an asbestos tiled roof that needs to be removed and the exterior façade is falling off. I’m always finding some excuse to be the last one at work because it’s warmer there than at home. City inspectors who issue energy passports graded my flat 2 out of 10. I’m fed up with high bills and chilly rooms so I decided that as head of my building’s homeowners association I would do something about it. I heard about a new energy efficiency programme from a friend, which would help insulate the building, cut our energy bills, and improve the building’s grim exterior. I surveyed the other tenants in my block and found that many were in favour of moving forward. We identified three companies to quote on the project and then selected the best company. I did all the paperwork and calculated that a loan from Habitat for Humanity, the only organisation providing loans to homeowner associations, would be paid back over 10 years based on energy savings alone. I still have to get the other 21 tenants to agree – so far 19 are for it but we haven’t signed an agreement yet. I know from my research that families could save around 20-30 euros a month. I needed to prove this with a real-life example, so I went to see Jovan Vranik, who lives a few blocks away and has already gone through the process. Jovan told me that it wasn’t easy at first and there were a lot of meetings involved, but Habitat for Humanity helped a lot. They made sure the materials arrived on time and were properly used, and that the building company delivered everything on time. The entire project took only a month and a half to complete. Now their home is warm because of good insulation, and both the humidity in the walls and the smell have gone. They realised that the money borrowed was actually not an expense, but an investment, which has increased the value of the flats several times. Their energy rating is now 10 out of 10! This has made me even more convinced and determined to persuade my fellow tenants to do this.